Join Samy Mattei in a grounding and uplifting yoga practice designed to leave you with a sensation of spaciousness in your body. This class is great for building a strong foundation in your practice. You’ll explore grounding and uplifting energy. This slower flow allows you to create muscle memory and really imprint the way the pose feels. 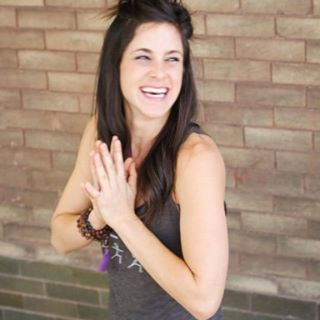 A highly qualified teacher with hundreds of hours of advanced certifications, Samy Mattei is deeply committed to her mission of making “Yoga for everyBODY.” She is passionate about making yoga accessible and enjoyable for anyone. Her teaching fosters an environment that welcomes any and all levels of ability, promotes mind-body connection and encourages people to re-discover their personal definition of wellness. This is a grounding and uplifting practice designed leave you with a sensation of lightness.